Congratulations to Prof. Janet Pritchard for being awarded a 2019 Guggenheim Fellowship. Each year, the John Simon Guggenheim Memorial Foundation awards roughly 175 fellowships to select individuals from a pool of over 3,000 applicants. These fellowships are intended to recognize individuals that express an exceptional capacity for productive scholarship or exceptional creative ability in the arts. 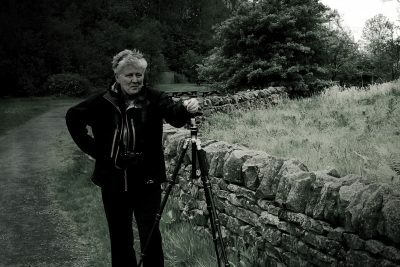 Janet’s work as a landscape photographer is exhibited in galleries and museums throughout the United States, as well as in the United Kingdom. Her photography is also a part of eight prestigious permanent collections in venues both here and the U.K. Her current project, More than a River: the Connecticut River Watershed, is expected to continue for many years. It involves photographing the Connecticut River landscape and contextualizing it as a complex set of interconnected systems where the land and riverscape impact the lives of the people who call it home and vice versa. Her work seeks out the intersection of nature and culture. The Guggenheim Fellowship will provide her with the opportunity to better understand the ecological concerns throughout the watershed and delve deeper into a few significant topics that she can weave into the larger story she will be telling through her work.